The age of budget-priced 4K sets is seemingly upon us. 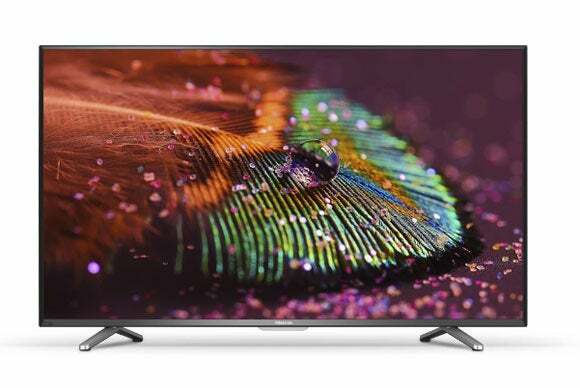 Vizio set the ball rolling in April when it announced a43-inch model priced at $600, and now the Chinese company Hisense is following suit. The latter has responded with a 4K TV that is a good 7 inches bigger and $2 cheaper than the Vizio we just mentioned. Why this matters: Chinese manufacturers are no strangers to selling 4K TVs at such bargain prices, and this may be why China is head and shoulders above the rest of the world in terms of 4K TV market penetration. In an advanced market like the U.S., however, budget manufacturers can’t simply rely on low pricing. They must also overcome consumer apprehension about the quality and longevity of their products. There is probably no better way of saying “you can trust this product” than providing a very long warranty. The exact specs aren’t known at this stage. All we know right now is that the TV has HDMI 2.0 with HDCP 2.2 copy protection, 2x2 Dual-Band Wi-Fi, dbx-tv’s Total Technology audio enhancements, and hot keys to turn on the TV and launch straight into an on-demand service. Further, the TV is capable of upscaling lower-resolution content to its native 3840x2160 resolution. That’s apparently enough to warrant a thumbs-up from Netflix, this is one of the first 50-inch TVs to carry the Netflix Recommended TV logo.